Recently, one woman made a lifelong commitment to living as a Sister of Providence and two others took a step to deepen their commitment to this path. in the Congregation of the Sisters of Providence of Saint Mary-of-the-Woods, Ind. For nine years, Sister Dina has engaged in spiritual formation, study and ministry as a temporary professed sister in preparation for her lifelong commitment. 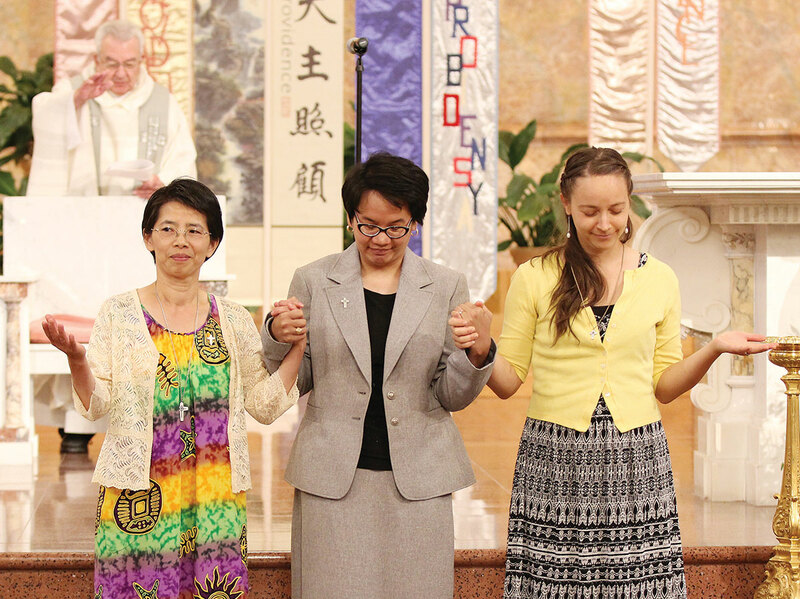 For Sisters Tracey and Anna, this journey is only three years in the making, as they will continue to discern their call to religious life as Sisters of Providence, and the path to perpetual vows. Sister Dina currently ministers as a staff accountant for the Archdiocese of Indianapolis. Sisters Anna and Tracey both professed vows of poverty, chastity and obedience for the first time as part of the congregation. Currently, Sister Tracey ministers as a bilingual community organizer for the Indianapolis Congregation Action Network, and Sister Anna is currently studying English with the sisters. During the ceremony, Sisters Anna and Tracey were presented the symbol of the Sisters of Providence to be worn as a sign of religious profession, their love of God and commitment to the mission and community of the Sisters of Providence. Sister Dina also received a ring to wear as a sign of her perpetual consecration to God and as a sign of her faith.